Tarin Ahmed is one of the most popular actresses among the many Bangladeshis. She has glorified her life with the acting and becomes the popular heroine in the field of drama. She is well-known for her terrific acting quality to the audience. Tarin is most popular to all kinds of the audience for her various acting qualities. 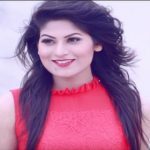 She is regarded as a mega star of drama serial of Bangladesh. Tarin Ahmed was born on July 26, in Noakhali, Bangladesh. From her early life, we see that she has been involved in drama when she was a student. She has started her career through drama from her school life. 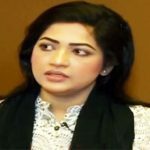 Tarin was very passionate about showbiz arena from her early childhood, thereby she has received education in music in early life from Ustad Hasan Ikram Ullah. Tarin Ahmed is one of the best female actress in the country who comes in the media world with the talent haunt ‘Notun Kuri’ in 1985. She made a debut in the showbiz arena with the drama serial ‘Ei Shob Din Ratri’ directed by Humayun Ahmed. Tarin got huge acclamation by acting in the drama serial ‘Songsoptok’ as a child artist, which was based on the novel of Shahidullah Kaiser. She made her debut as a lead actress with the ‘Kathalburi’ with co-actor Tauqir Ahmed in 1988 that was aired on ATN, the first Bangladeshi satellite television channel. Tarin Ahmed has an excellent singing quality, but she is not a professional singer only for the family purpose she sings. However, she released a solo music album named ‘Akash Debo Kake’ in 2011 on request of family members. She also gave a voice for two Indian Bengali movies and in the country for famous actress Shabnur. Tarin also acted in the movies Pirit Roton Pirit Joton and Kajoler Dinratri. For her magnificent acting performance, she won Meril Prothom-Alo Award. Tarin Ahmed with her sister, they owned a production house named ‘Tana’. At present, she is not concerned with the production house, she has launched a new one.